As with all forms of laser treatments, certain precautions must be taken to ensure that an adverse reaction does not occur during or after treatment. For over 16 years Lasting Looks Anti-Aging and Laser Clinic has been providing safe and effective Laser Hair Removal treatments. All returning and new patients are asked what medications they are currently taking, as knowing this could avoid having an adverse reaction on their skin, and not affect the results of their Laser Hair Removal treatments. It is very important for patients to disclose all medications and skin care products they are using before treatments. Many medications and products may cause the skin to quickly burn, cause sensitivity after Laser Hair Removal, as well as the risk of either hyper-pigmentation or hypo-pigmentation. Some patients will experience what looks like a pink heat rash within 24 hours after their Laser Hair Removal Treatment. This is quite a common side effect and is simply your body reacting to the internal heat caused by the laser. Some patients experience this with each treatment, whereas others will experience minimal flushing or nothing at all. This “heat rash” will usually disappear within 48 hours of your treatment. By now we have all seen the numerous TV and magazine ads for at home “laser” hair removal. Millions have been sold, but do they really compete or work as well as professional laser hair removal treatments? Home devices, whether they are getting their power from batteries or a plug in the wall will never be able to deliver the amount of energy that is required to destroy the root of the hair. Laser Hair Removal treatments work by destroying the hair follicle. The follicle absorbs heat from the laser while the hair is in its active growth cycle, thus preventing the hair from re-growing. Try to think of the hair follicle as the bulb of a flower; once you destroy it, it is unable to re-grow. Home treatments cannot penetrate as deep and will only burn off the hair that is on the surface and not affect the root of the hair. The hair underneath the skins surface is not being treated, only what is growing above the skin, hence another reason why you can repeat the home process frequently. Some companies that sell home devices say the root lays dormant, which means it can grow again. Most users reported having to redo the treated areas every 1-3 weeks, with disappointing results. You will never be totally hair free with these home treatments. Lasting Looks Anti-Aging and Laser Clinic has been providing Laser Hair Removal for over 16 years. All of our Lasers are approved for use by Health Canada and our Medical Laser Technicians are fully certified to provide treatments effectively and safely. Why waste time and money on home treatments, when you can be hair free in as few as 6 professionally administered Laser Hair Removal sessions. Let’s face it, hair can grow on the strangest places on your body and unfortunately we can’t control how much or where it sprouts. So what can Harry do about his hairy back? Until recently, waxing and shaving were the only options for removing unwanted hair. These unfortunately are only temporary solutions. Lasting Looks Anti Aging Clinic is a Med Spa located in Etobicoke Toronto, that offers Laser Hair Removal as the ultimate solution for men and women to permanently be rid of unwanted hair. Laser Hair Removal treatments can leave you hair free wherever you DONT want hair. For men the most popular areas are the shoulders, back, chest and upper arms. Our technicians are experienced and certified in Laser Hair Removal while using the latest technology. We can offer men and women treatments and packages for their unwanted hair. Generally 6-8 treatments are needed for clearance of unwanted hair, spaced 4-5 weeks apart. With each treatment less hair growth is apparent. Most common areas for ingrown hair is on the face. For women, the bikini line and underarms are also common places to find ingrown hairs. At times no matter how much you exfoliate the area, ingrown hairs can continually occur. An Ingrown hair can become quite painful and irritating to the surrounding tissue which can lead to redness and infection. Some people will still try to prod the offending hair out leaving nasty scars and more irritation behind.The best solution to this problem is Laser Hair Removal on the affected area. After a few treatments patients find that the hair does not curl back into itself, therefore alleviating the ingrown hair and the irritation. Laser hair removal is also helpful in reducing the scarring that has been caused by the previously ingrown hair. Most patients require an average of 6-8 Laser Hair Removal treatments to be hair free. The unsightliness and discomfort of ingrown hair can by alleviated with a few Laser Hair Removal treatments at Lasting Looks Clinic in Etobicoke. Here are a few suggestions to know before your Laser Hair Removal Treatment. Lasting Looks Clinic in Toronto always recommends that you do not wax, have electrolysis, thread or use any chemical depilatories for at least 3-4 weeks prior to treatment. The reason for this is that the root of the hair must be present to be effective, not to mention that it is beneficial to treat as much hair in an active growth phase as possible. The day or evening before your treatment the area to be treated must be shaven to avoid any burning of the hair touching your skin. For women it is recommended not to have laser hair removal just prior to or when you are on your monthly cycle. During this time patients can be overly sensitive and not find their treatments as comfortable. At Lasting Looks Clinic we try our best to make all of our treatments as comfortable as possible. You may choose to use a topical numbing crème or might choose to take a mild pain reliever prior to treatment such as Advil or Tylenol if you are a person who is very sensitive to mild discomfort, but most of our patients don’t find this to be necessary. Many people experience excessive hair growth in all the wrong places. There are a few reasons for this. One is an overproduction of certain hormones. At Lasting Looks Clinic in Etobicoke we see many patients with this concern. When boys hit puberty they usually develop facial and chest hair, and of course girls generally don’t. With boys, it is due to a sudden surge in testosterone. Girls will produce more estrogen at this time and although body hair is developing, it’s usually manageable. 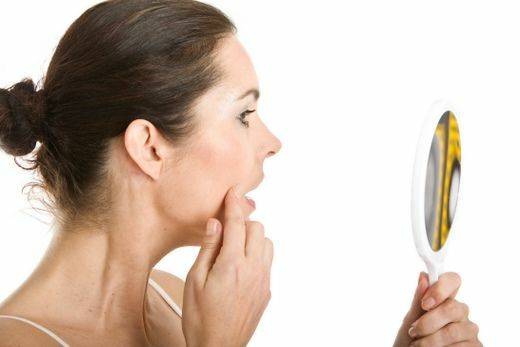 Some adolescent and young women unfortunately have an overabundance of facial and body hair due in part to their unbalanced and surging hormones. This can often be distressing and embarrassing as well. When a woman’s’ hormones are not in the correct balance, for example when they are menopausal, or are producing less estrogen , can develop excess facial and body hair. Laser Hair removal is the best method to reduce the hair growth. We effectively treat many women with this issue using Laser Hair Removal to remove the unwanted hair. Approximately 6-8 treatments of hair removal spaced 4-6 weeks apart are sufficient to reduce or eliminate the unwanted hair. Ladies..Razor bumps or ingrown hair? Why not take care of it all including hair removal permanently? Lasting Looks Clinics’ Laser Hair Removal treatments will lessen the amount of hair that you have with each treatment. One of the first things that our patients’ notice is that they no longer get ingrown hairs and the scarring and discomfort that goes along with them. Today Laser Hair Removal can be done on any part of the face or body. 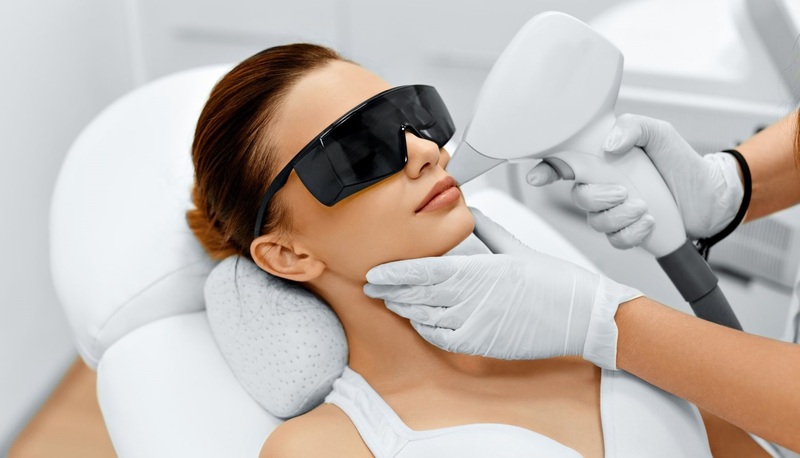 Laser Hair removal technology has been around for many years and has had many improvements in both comfort and results. Gone are the days where it took hours to do a treatment of Laser Hair Removal on your legs and it was also quite painful. The average time for a treatment is now under an hour for full legs. The best part of having Laser Hair Removal is in the results that you see from the very first treatment. You will notice lessening of the amount and thickness of the hair in the area being treated. 1 month intervals to achieve maximum results.